Now that EasyCare has launched its new blog platform, it will be much easier for Boot Maine-ia to hit the virtual newsstand! First, a short introduction. 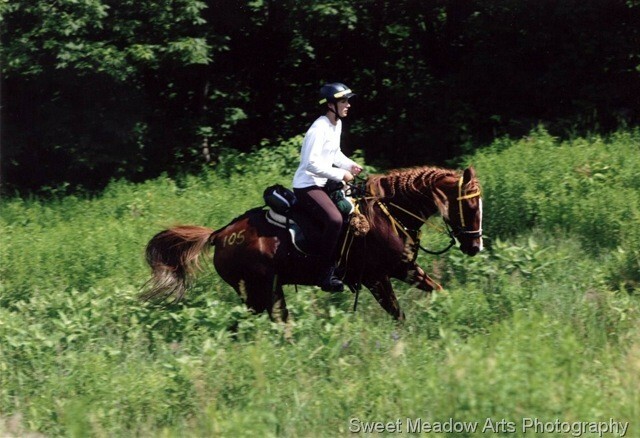 I’ve been riding endurance and CTR since 2003 with my then-6yo gelding, Zephyr. 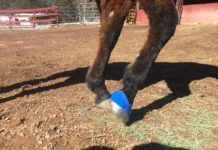 We started off barefoot, then when his hooves wore too quickly I tried original Easyboots. Then when I got sick of not being able to keep them on his feet, I tried Ground Control plastic horseshoes. Then when I got sick of the dirt getting wedged in at the heel, I tried metal (steel and aluminum) horseshoes. We’ve come full circle this year. In May, we completed a 3-day 80-mile CTR during which he pulled off both front shoes within a mile of each other, ~7 miles into the second day, and successfully finished the remaining 23 miles that day barefoot in front. 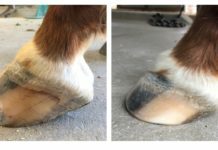 I had the ride farrier reshoe him that night, but as soon as we got home, I pulled his shoes and ordered an Easyboot Glove / Glue-On Fit Kit. 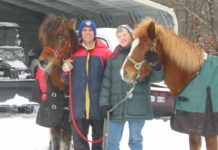 Three weeks later we finished our first 100-mile endurance ride in Easyboot Glue-Ons. We weren’t fast, but he looked AMAZING at the end… better than after some of our 50s. I’m trimming his hooves myself these days to ensure the Gloves always fit. It’s been a learning process but I’m improving every time. He’ll be 14 next spring and I’m looking forward to the busiest ride season that my vacation schedule and budget will allow. For us, that means I hope to compete once a month between May and October… not a demanding schedule compared to some riders! But we all do what we can, right? Feel free to visit my website www.zegifts.com or my personal blog at www.zegifts.blogspot.com! Previous articleLost? Nah, we just don’t know how far it is!